The Seventh International Symposium on Solid Oxide Fuel Cells (SOFC): Materials, Science, and Technology was held during the 34th International Conference and Exposition on Advanced Ceramics and Composites in Daytona Beach, FL, January 24 to 29, 2010. This symposium provided an international forum for scientists, engineers, and technologists to discuss and exchange state-of-the-art ideas, information, and technology on various aspects of solid oxide fuel cells. A total of 75 papers were presented in the form of oral and poster presentations, including ten invited lectures, indicating strong interest in the scientifically and technologically important field of solid oxide fuel cells. Authors from eleven countries (China, Denmark, Germany India, Italy, Japan, Russia, South Korea, Taiwan, UK and U.S.A.) participated. The speakers represented universities, industries, and government research laboratories. 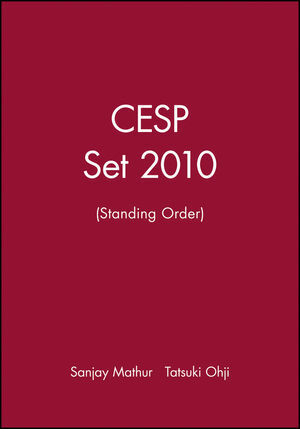 These proceedings contain contributions on various aspects of solid oxide fuel cells that were discussed at the symposium. 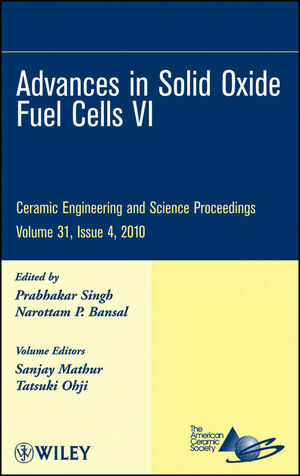 Fifteen papers describing the current status of solid oxide fuel cells technology are included in this volume. Prabhakar Singh, PhD, holds the United Technologies Corporation Endowed Chair Professor position in the Department of Materials Science and Engineering, and was the Director of the Center for Clean Energy Engineering at the University of Connecticut.